The Zenzalino lands were already noted in the twelfth century as an area pervaded by marshes and rich in game, especially wild boar, as the name suggests. Around 1434 this feudal estate was assigned to Bartolomeo Pendaglia, the richest man in Ferrara, and a good friend to the Marquis Nicolò III, who expanded and decorated the villa. A prestigious building among the many properties of Duke Borso, who eventually bestowed it to his favourite adviser Pellegrino Pasini. 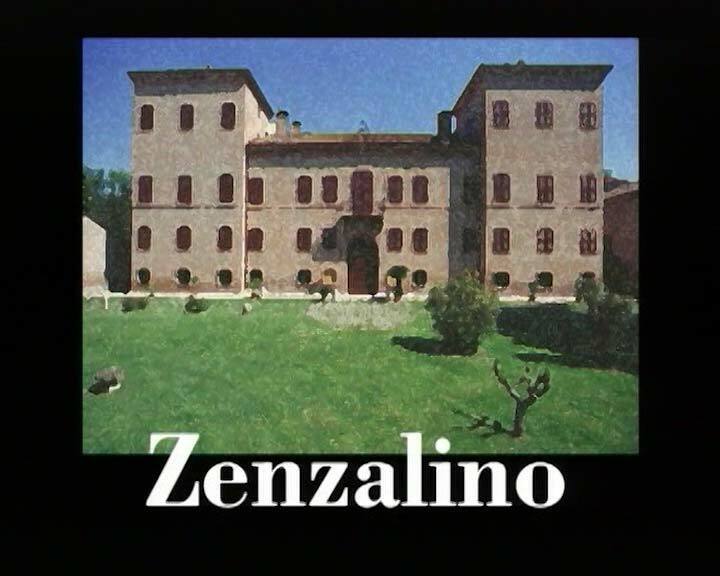 The chronicler Caleffini mentions the palatio de Zenzalino as one of the suburban residences frequented by Ercole I. The present villa was completely transformed in 1810 by the Count Trotti families, who had owned it since the last quarter of the fifteenth century. Positioned at the centre of the main body of the brick building is a portal, surmounted by the coat of arms of the Trotti family and marble corbels supporting a balcony. Two large square towers flank the building, connected by a white marble cornice at the base and a belt course located at the height of the first floor. A terracotta cornice under the roof crowns the entire building. To the right, connected to the palace by a hanging corridor stands the family chapel which has the date of 1830 engraved at the entrance. To the left we find the beautiful 1920’s exedra greenhouse, marked by a single row of arches. Behind the palace is a magnificent park, with centuries-old trees of various origins, housing the ice-house, a hexagonal dovecote tower and a Swiss chalet overlooking a small lake, built at the end of the twentieth century by Augustus Grossi. The estate is privately owned.